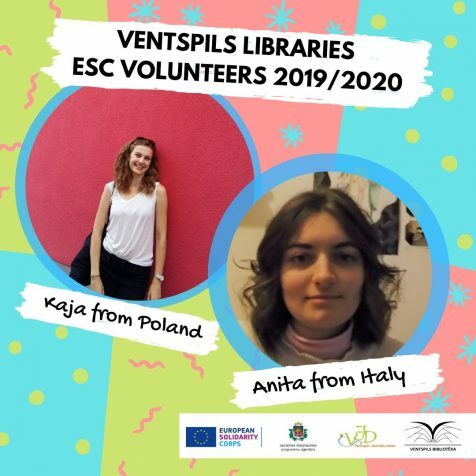 [ENG] New volunteers in Ventspils Library! We are happy that we can assure a chance for our local youngsters and Ventpils town residence to get to know and meet in person different cultures and people. We are grateful to or National Agency that they made it possible for us to host to new volunteers from Italy and Poland. Volunteers will work for 10 months in our Ventspils library and it's branches, offering to clients language lessons and different events.